This demo is free for PERSONAL USE ONLY. Licenses and Full font family with alternates, numbers, full kerning and embeddability is available! Donations are also greatly appreciated! I love this one! It's very versatile, so it would be perfect for many different types of projects. Thank you. wow what a fantastic font perfect for many different types of projects. Thank you. love this one! It's very versatile, so it would be perfect for many different types of projects. Thank you. no words haha i love it! i need to use it for a game thing! Dis font is just awesome ! LOVE IT ! I never seen font like this before! Stunning!! Copyright (c) 2012 by Kevin Christopher. All rights reserved. Unlicensed. FOR PERSONAL USE ONLY! 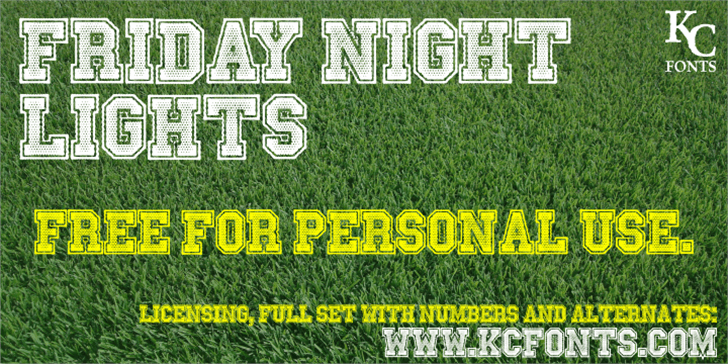 Please contact kcfonts@gmail.com to purchase a commercial use license. Copyright KC Fonts all rights reserved. 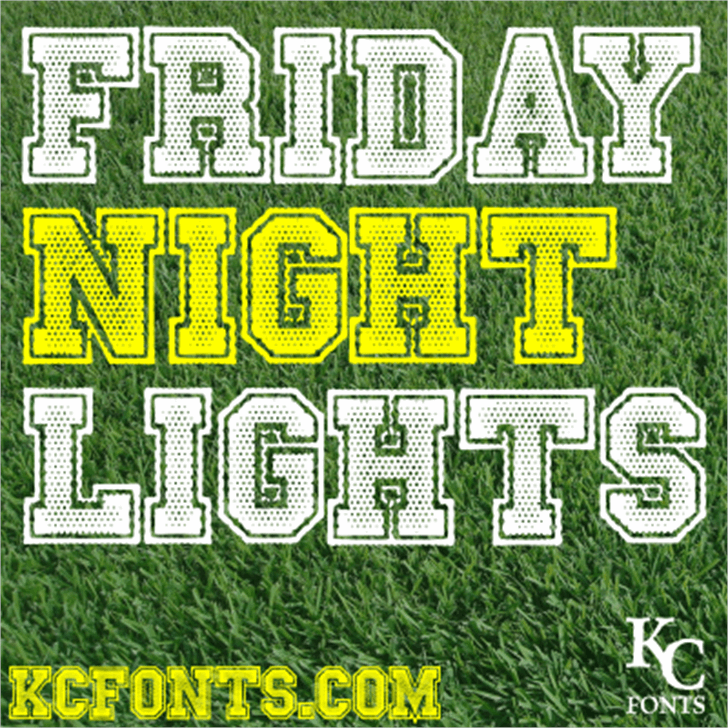 Friday Night Lights is a trademark of Kevin Christopher.